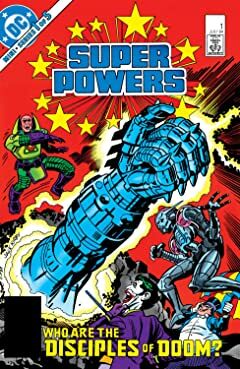 Following the unprecedented achievements of his Fourth World titles, Jack Kirby returned to the DC Universe in 1984 for two special miniseries celebrating Kenner’s new DC-themed Super Powers toy line. 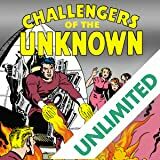 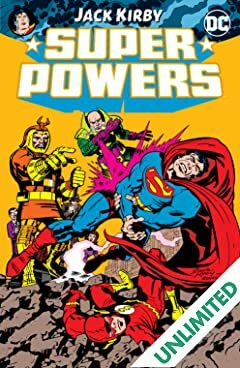 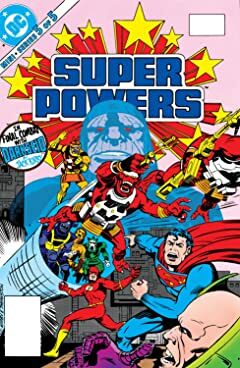 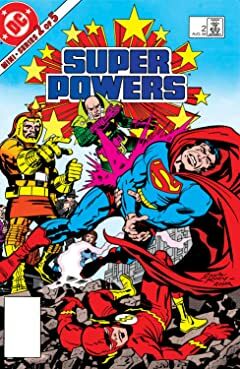 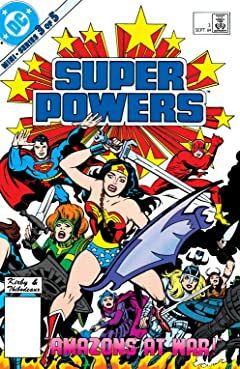 Together with such creative collaborators as Joey Cavalieri, Adrian Gonzales and Paul Kupperberg, Kirby revisited all of DC’s greatest heroes and villains in the pages of SUPER POWERS, and launched them through time and space into the kind of cosmic adventure that only the King of Comics could deliver! 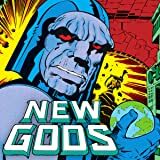 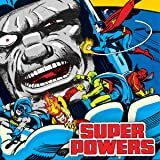 Jack Kirby reinvented the superhero genre with his sprawling saga of the Fourth World—a bold storytelling vision that was decades ahead of its time. 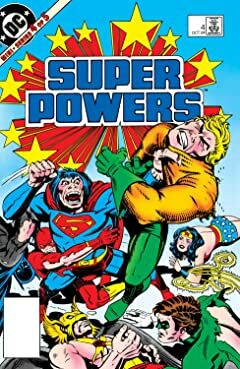 In honor of this extraordinary talent’s centennial, DC Comics is proud to re-present the groundbreaking work of the King of Comics in a brand-new series of trade paperback editions collecting his classic DC titles in all their four-color glory! 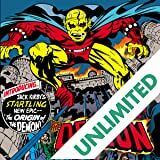 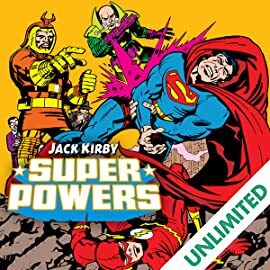 Revisit this bygone era—and thrill to the imaginative power of one of the medium’s greatest masters—in SUPER POWERS BY JACK KIRBY, collecting both of the dimension-spanning sagas that capped off the King’s triumphant tenure at DC.